Ride-A-Way is a high-performance premium coating system consisting of epoxy modified acrylic polymers blended with sand and aggregate, which is applied directly onto an asphalt surface. Its UV-stable pigments provide long-lasting color and texture for consistent visibility and traction – and safer cycling. 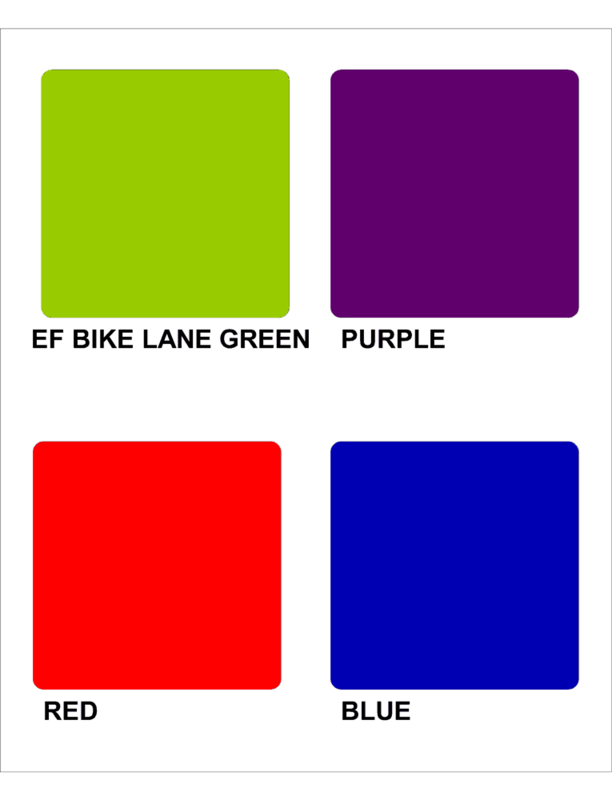 Ride-A-Way’s brightly colored bike lanes are highly visible and safe. Studies show there are fewer traffic accidents where they are in use. Available in a variety of colors, Ride-A-Way performs well and holds up season after season.